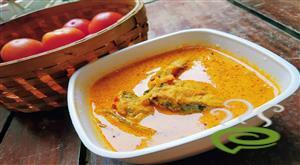 Hot and Spicy Kerala Fish Curry will give a sumptuous treat to your taste buds. A variant from the usual fish curry, our Spicy Kerala Fish Curry incorporates tangy tamarind extract. Fish curry tastes best with hot rice or cooked tapioca. Fish is nutritious and hence must be included in your daily menu. The fish used for Spicy Kerala Fish Curry can range from seer fish to any fish that is fleshy. Fish curries cooked in red chilly and spices usually tastes best the next day. We have included a simplified version of Spicy Kerala Fish Curry. Enjoy the dish. Clean the fish (Meen), drain and keep aside. Mix together the red chilly powder, coriander powder, turmeric powder, and fenugreek powder with little water, to make a smooth paste. Add mustard seeds and when they start spluttering, add fenugreek seeds followed by the sliced onions, ginger, garlic, tomatoes, curry leaves and the paste and fry till the oil separates. 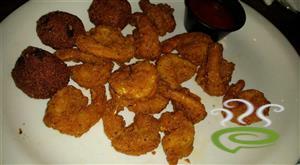 :- You could use a cup of small onions instead of big onions. Add tamarind extract and check the level of sourness. When the water starts boiling, add the fish pieces and salt. Add enough water to cover the pieces. Cook on a gentle heat. When the pieces are almost cooked, increase the heat and cook till the gravy thickens and the oil is visible. If u really think the Meen curry is too hot, reduce chilli/ or add two tea spoon of coconut milk. When u make fish or meat curries, try to make the curry one day before, so that the Meen curry will absorb all that masala and taste better the next day. If u like the smell of coriander leaves in your Meen curries, you can add some in this fish curry too. Last but not the least, Kukum star (Kudampuli) is a very good substitute for tamarind in Meen Curry. :- Enjoy the Meen Curry. Meen Curry goes very well with hot rice. Loved ur recipe! ! I was a failure in making fish curry.. but tday i made like a pro :) thankyu!! This looks like a great recipe. I will try it today ( if possible). Thanks for all the tips too! I cant believe with such a simple recipe i managed to make an yummy delicious fish curry, anyway i used kodampuli. Thank u so much.. 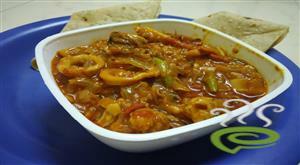 I will try this fish curry..it is A mouth watering recipe..thanks a lot! cheers! yummy, you made us remember our mummy. Hi, Three years to my marriage, and this is the first time I have cooked such an yummy fish curry. Your recipe is simple and worth. thanks a million. My Hubby loved it...cheers!!! Thanks a lot. Great recipe. I have tried fish curry, It came very well. Tried this recipe and it came out very well. Thanks a lot for this recipe! Hi.I tried this recipe yesterday and it came out really good.Thankxxxx for the recipe. Thanks for the receipe!. It was good!. i tried it. it was superb. the king fish is known as neimeen in kerala and vanjram in tamilnadu. thanks a lot.. everytime I make fish it turns out really hot, thanks for the early comments I added almost a tspn less chilly, the curry came out excellent. I had guests coming in and everybody appreciated. I tried with Salmon fish. Excellent. It is very simple to prepare. Thanks. Hey the curry turned out to be delicious.We used sardines but didnt add the coconut milk and also used much less chilli, but it was spicy and tasty nonetheless. Anyone looking for a good fish curry can try out this one. Wow Maneka...this is an excellent fish curry. Typical Kerala style. I added one tsp less of chilly powder though and also a couple of tbsps of coconut milk at the end just to flavor it a notch although its totally flavorful even without it. Plus its super simple ! Yummm.......its gonna sit untouched till tomorrow coz fish curry tastes best a day after its made right ? Thx for this one, Maneka. Excellent Dish & Thanx for sharing it.We loved it. 1) U can use any fish for this recipe…but I found king fish more tastier. 2)If u r using sardines, increase pepper powder and add a couple of teaspoon of coconut milk at the end…3) Soak the coccum ( kodambuli ) with a pinch of salt in half cup of water for 15 minutes. The hot water and salt help to soak the kodambuli… add this mixture to the curry…u don’t have to squeeze it… kodambuli is much stronger than tamarind,so u should be careful. 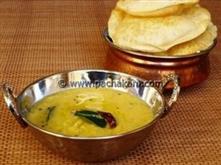 A maximum of two pieces kodambuli is enough for this recipe. I tried it and was very good. It would be nice if u use coccum instead of tarmind. It`s so easy to prepare and yet so delicious.My family and even my neighbours loved it. Ende ammayeeammade meenkariye kaalum assalaayarinnu. 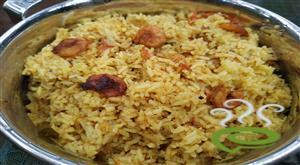 hi today I tried your receipe with kudampuly and it came out real well.thanks a lot for this excellent recipe. I love kerala fish curries.Keep postin such curries in future.thanks once again. Great recipe. Took hardly 10 minutes to make. The taste was awesome..Good Job..
hi all thanks for the feed back... here r some tips... 1) if u really think the curry is too hot, reduce chilli/ or add two tea spoon of coconut milk. 2)when u make fish or meat curries,try to make the curry one day before, so that the curry will absorb all that masala and taste better. 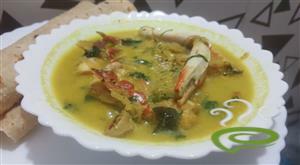 3)if u like the smell of corriander leaves ( cilentro ) in ur curries, u can add some in this fish curry too. 4) last but not the least, kudampulli ( coccum) is a very good substitute for tamarind..
yumm..yummm..really hot but treats the buds as u said...thanks...give ur contact for some help in cooking!!!!!!!!!!!!! Nice and spicy! Reduce chilli powder if you cant take the spice. curry was excelent....try to put some more worth recieps like this... my kids and parents liked it very much..